Here are four simple steps and one ‘magic’ word that can help keep Jesus and Santa rightly prioritized in your family’s Christmas celebration. The Bible isn’t shy about showing the warts of its heroes. But the church receives praise that's second only to Jesus himself. 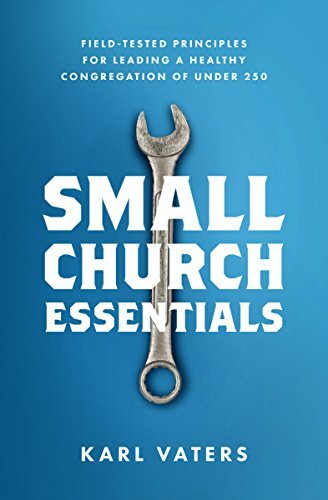 Small churches are a vital component of the most powerful force for goodness the world has ever seen. So much of Jesus’ life, ministry and message looked like a failure. Until the resurrection. Does Attracting A Crowd Make Discipleship Harder? Going along with the crowd has never been the Jesus way. Standing apart from the crowd? Now that sounds like Jesus. We have become so used to tethering evangelism to our church’s programming and attendance that we can forget they're not the same thing. For most, maybe all of these tactics, I can see the good motive behind it. But good intentions are not enough. Christ is not found in our institutions, he is found in the church. In people who love Jesus, love each other and gather together regularly. In a world in which anger is overused, being slow to anger may make a stronger statement than all our yelling ever could.